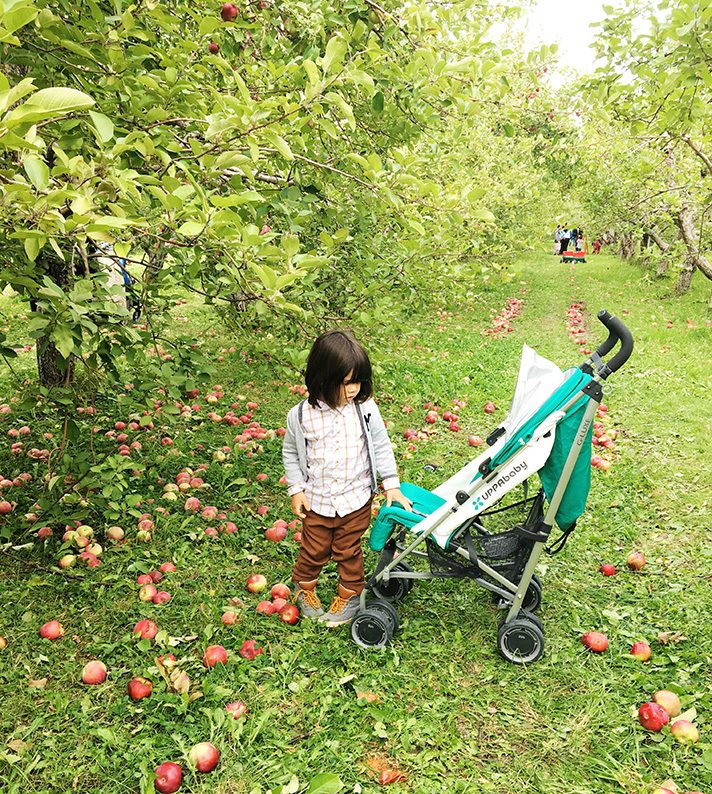 There's something so magical about each changing season in Montreal, maybe because they are too extreme or I'm new to these changes but I've always been a fan of seasonal activities and traditions, and Fall is one of the best ones for our little family. 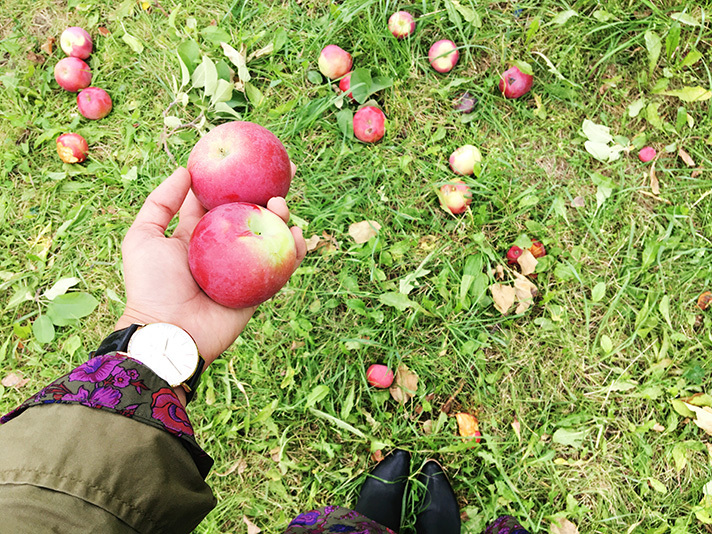 Apple picking was our number one adventure to do on our bucket list and I couldn't wait to go as soon as we could. 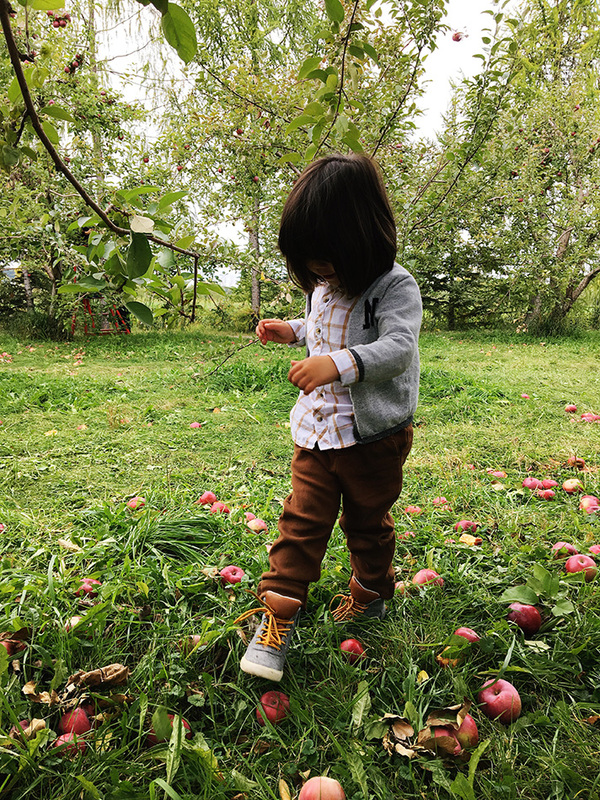 This year, Nico is old enough to remember things, enjoy and participate asking for his favorite things like an afternoon picking a full bag of apples in a beautiful orchard near the city. It was a perfect warm day, we walked and ran, ate tons of apples together and for the first time I felt we are creating a beautiful tradition with our two little ones, besides the amazing shots, the great food we had, I'll always have in my heart I'm passing an adorable family pastime to Nico and Olivia they won't forget. 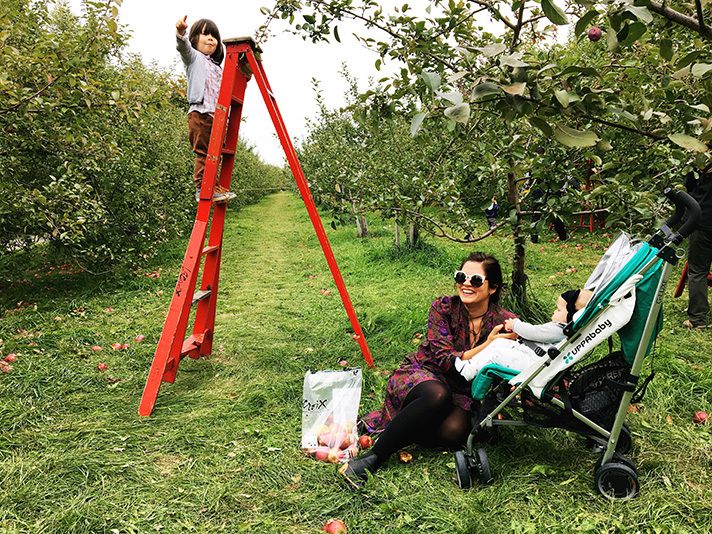 I know sometimes can be challenging to carry a bag of 20 pounds full of apples, a toddler running around the orchard, a diaper bag, a baby in a stroller and food for our picnic, mamas, the struggle is completely real. 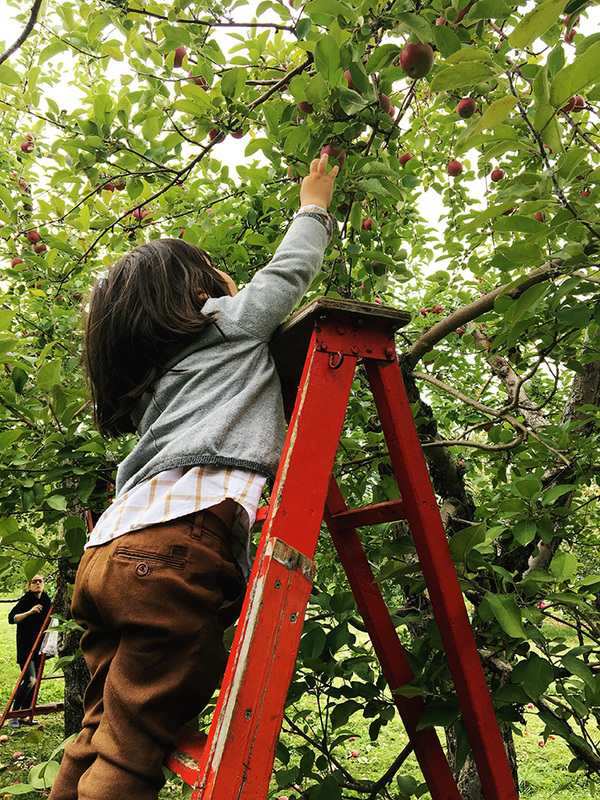 Here are 5 tips for you to enjoy an organized apple picking day with two little ones (even with one) that will make your life so much easier. Trust me, bring more snacks than you think you'll need for this activity. Nico was running, walking, jumping and playing a lot, so he asked to eat multiple times during our visit. I packed a couple of healthy granola bars, mini ham and cheese sandwichs and rice cakes for babies, Olivia's favorites. 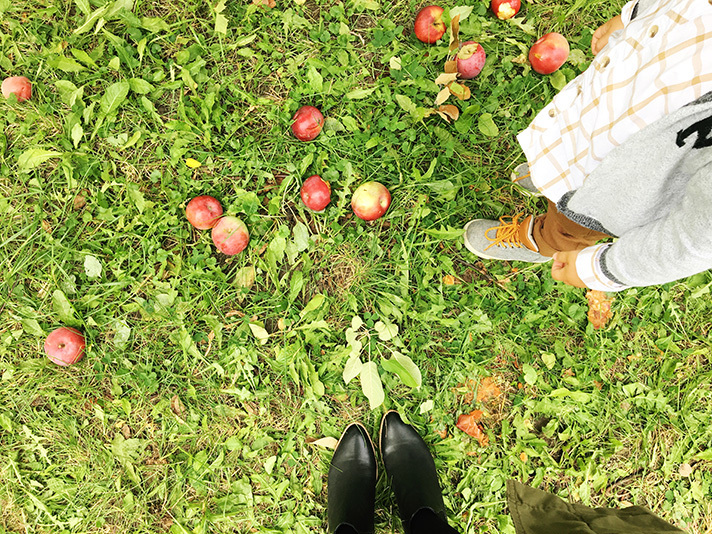 Also, fruit pouches are our BFFs when it comes to outdoor activities with these two. For Olivia, I brought 3 bottles with formula and for Nico a full bottle of water. 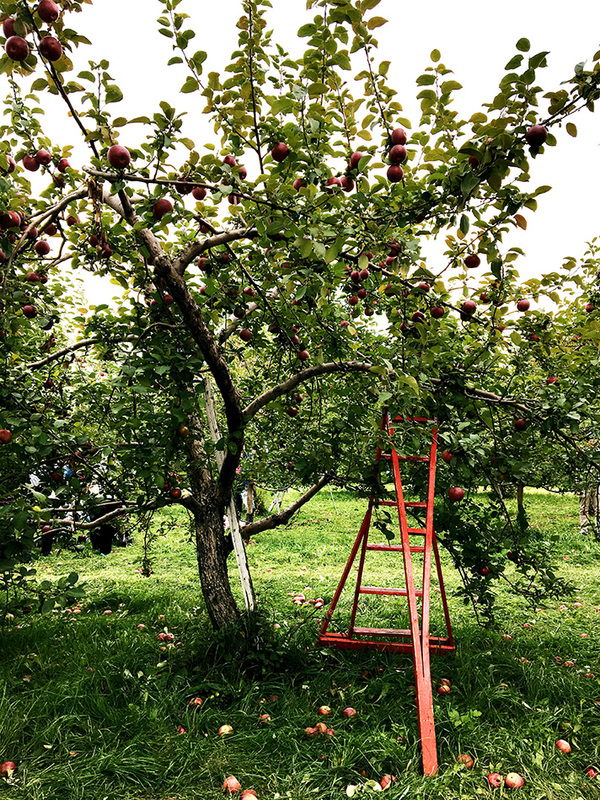 I did a small research of our orchard because I wanted to go to a small and less busy one. We found one 45 minutes away from home, jackpot! To avoid traffic on our way there, long lineups and crowds, we got there around 2 pm and it was absolutely perfect. 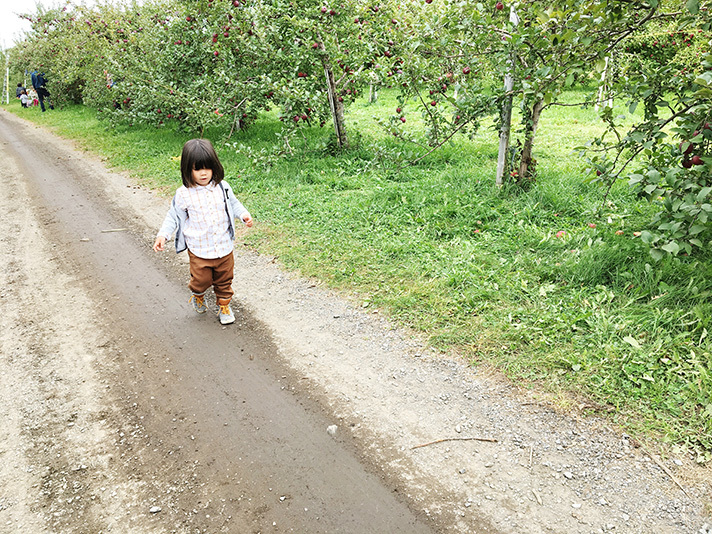 The weather was warmer, we didn't wait to pay and hit the orchard. Also, after lunch time, most of the picnic tables were empty so we could select where to sit and enjoy our picnic. At the end, we scored the perfect timing to go. Secret number one? wear comfy shoes for you and your little ones. 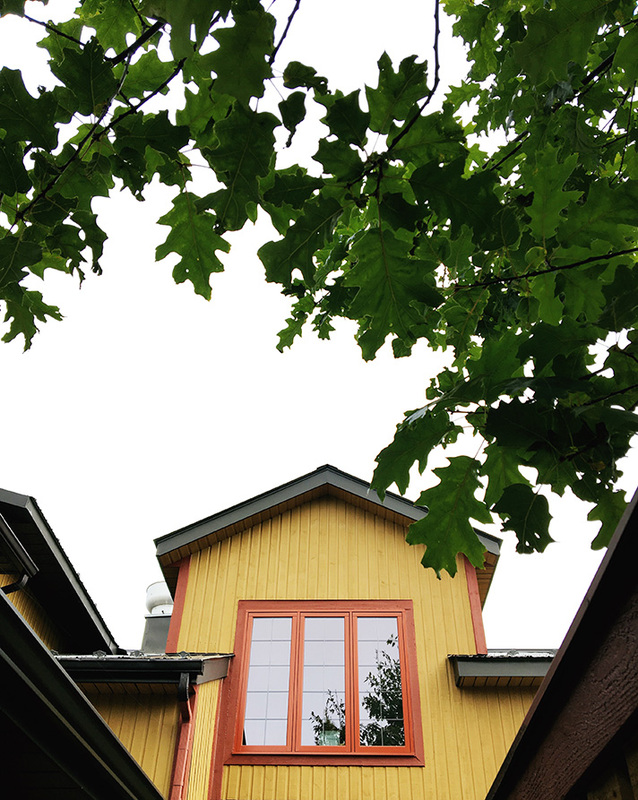 This is a walkable tour and you'll spend a lot of time exercising and you don't want to end with tons of blisters. Besides shoes (I know, my favorite subject, right? ), our weather is the majority of time, crazy. We carried some Fall jackets, tuques, small mittens and a light blanket for Olivia's stroller, it's always better to carry extra layers just in case temperature drops in the middle of the day. 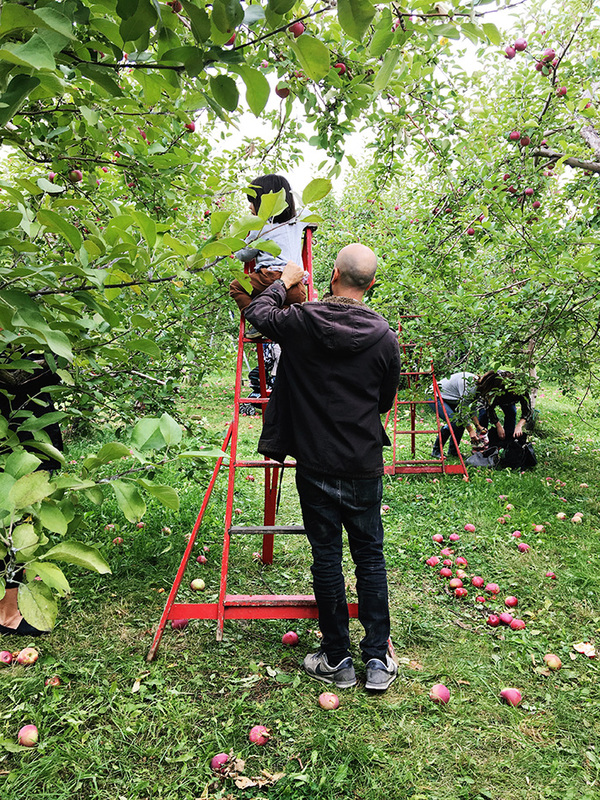 I did a tiny research of our visit before getting there and I knew we were going to pick 4 different types including McIntosh, HoneyCrisp, Gala and Empire. Our bag was 20 pounds #saywhat and I also planned the recipes for these upcoming weeks. If you are still doubting what to do, here are 8 amazing apple recipes for you to try this season. Nothing better than an ol' overload of apples for a while! 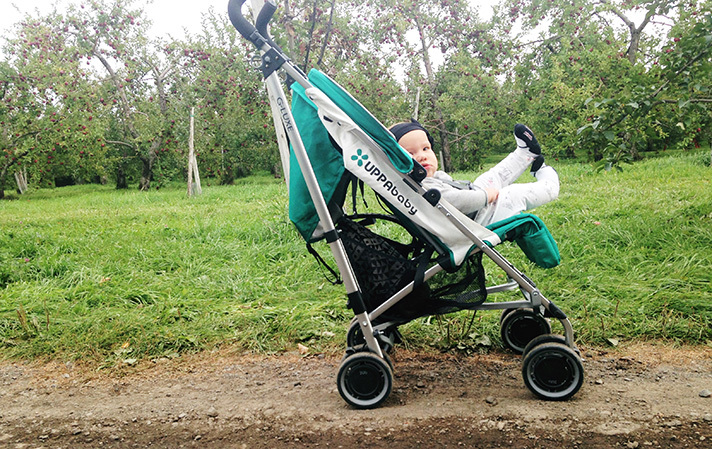 You'll need a lightweight stroller for outdoor activities, and apple picking totally requires one. 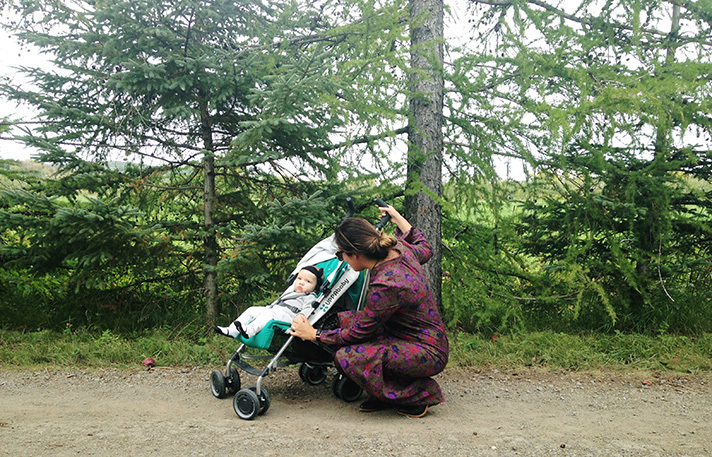 Our UPPAbaby G-LUXE was so perfect for it I'll need an extra one for each of my kids. I could fold it easily and carried it over through the orchard like a pro. 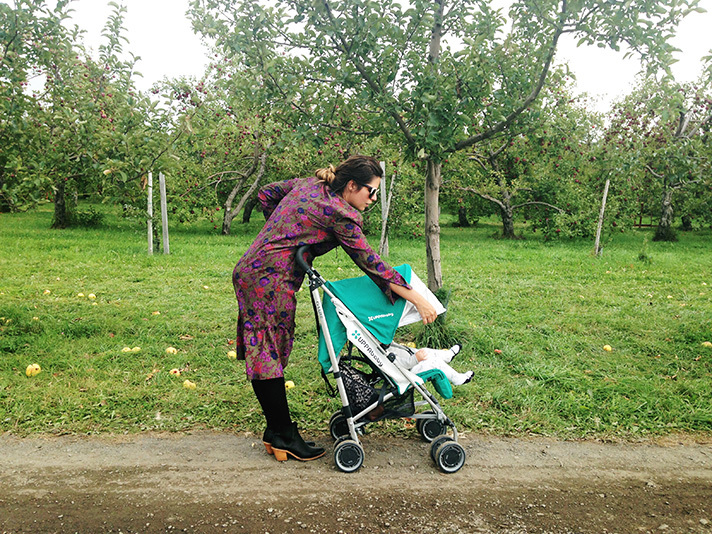 I loved the new cool features of this stroller like their spacious basket and the extendable SPF50+ sunshade. Also, it stands when folded and both Nico and Olivia used it during the picking, a total win. 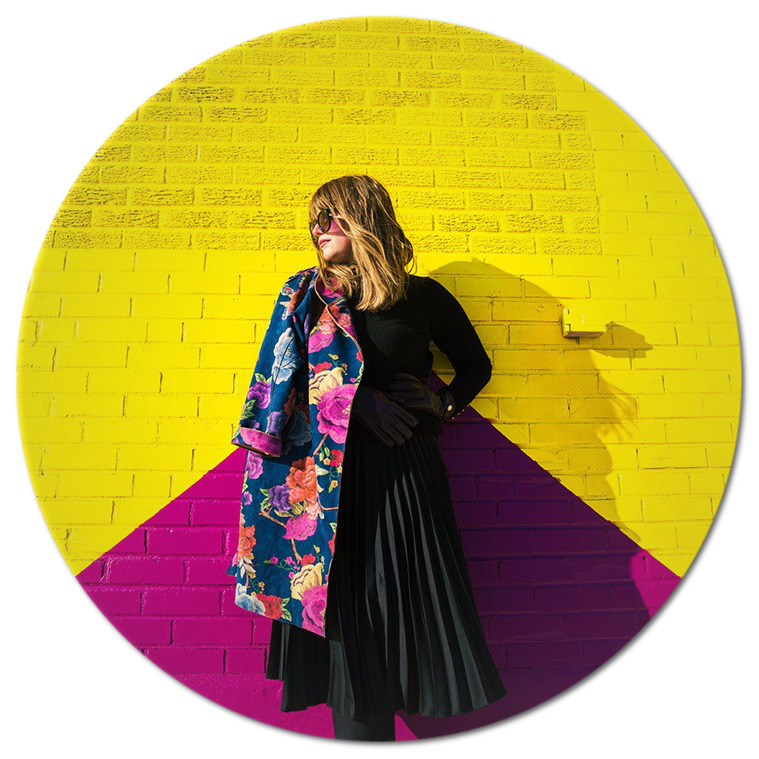 Mamas, I know you adore this color too, so you can learn more about this model here and shop it at the end of this post. 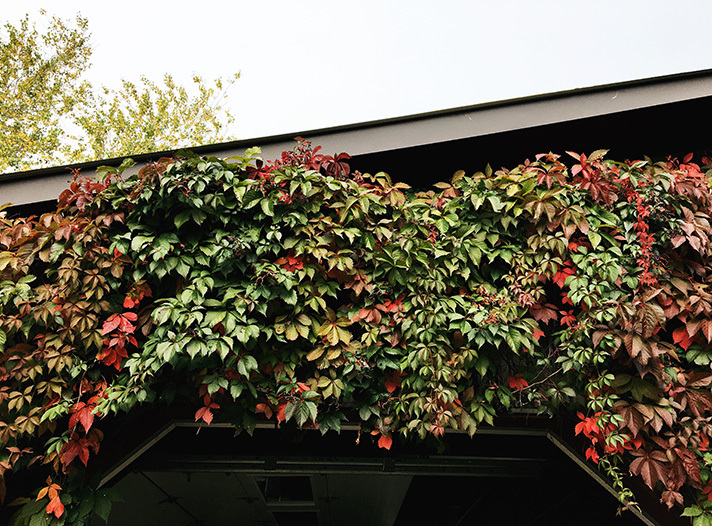 Hope this post was useful for your future seasonal activities and I can't wait to hear all about your Fall plans already. 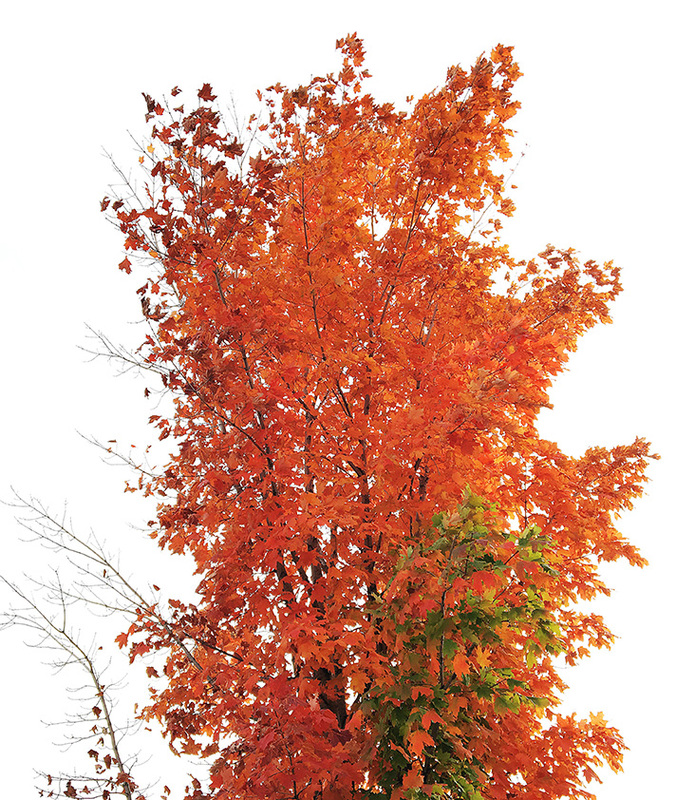 Are you planning any Fall activities soon? I love the pictures you took!! 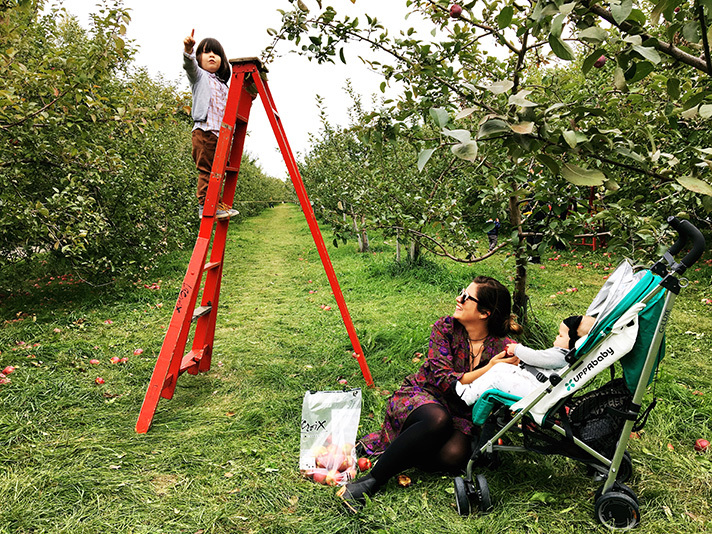 It really captured the fun of apple picking with the kids. These are really useful tips. Love this post! 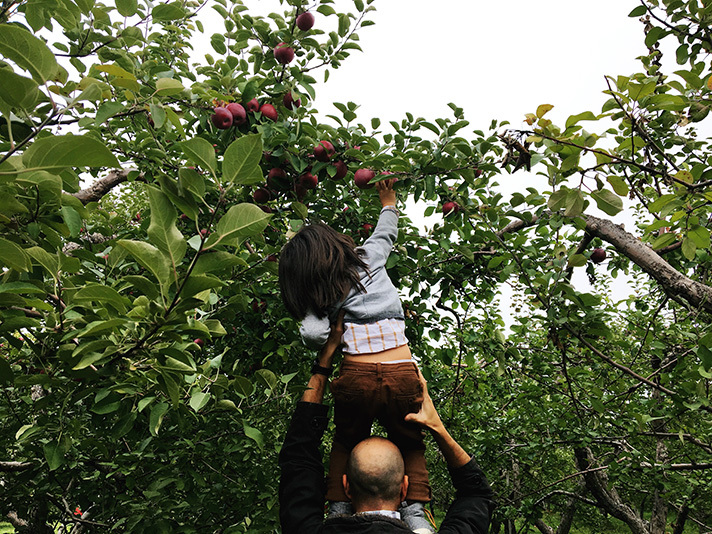 We are going apple picking this upcoming weekend and I can't wait, all of your photos are so beautiful!